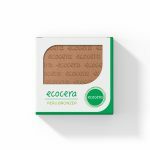 Brand new line of vegan ECOCERA bronzers contains 4 unique products. Natural, ecological formula based on walnut shell extract, enriched with sunflower seed oil and carnauba wax, vitamin E and mineral pigments with a subtle scent of white tea. Leaves the skin velvety smooth. Doesn’t cause any irritation or dryness. 3 subtly sparkling colors: BALI, THAI and INDIA were choose to make all of us feel beautiful regardless age and skin tone. The 4-th, matte PERU Bronzer is a perfectly matching every skin tone colour, created for shaping and enhancing it’s assets. 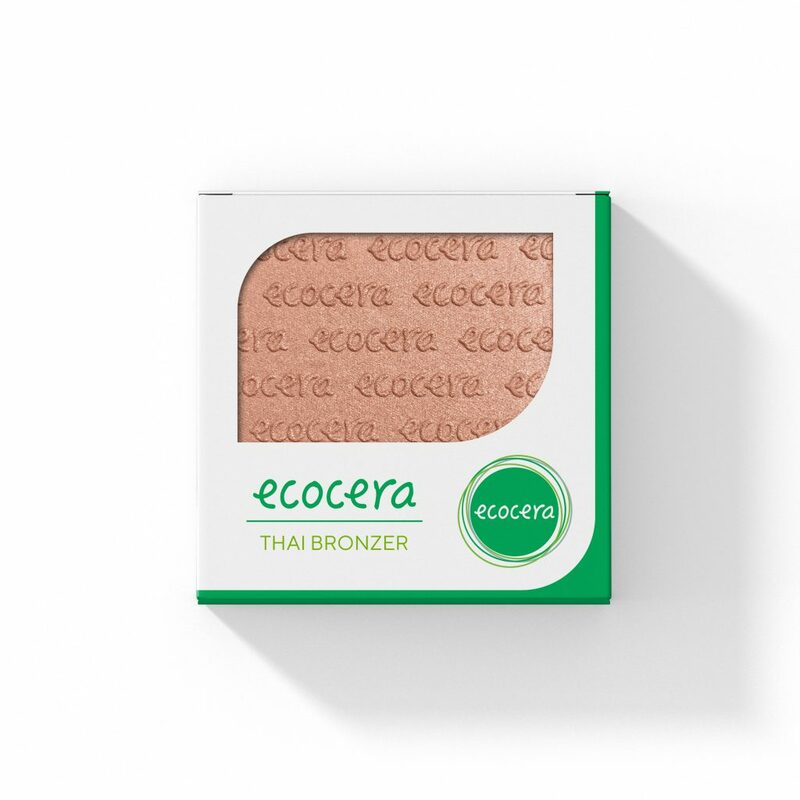 ECOCERA Bronzer is an ideal product for enhancing tan and contouring. All colours can be mixed together to accent their saturation or obtain more glowy & glam effect. Products based on modern yet natural and 100% safe ingredients. Try and fall in love with new generation vegan makeup cosmetics. Talc, Mica, Isopropyl Palmitate, Isostearyl Isostearate, Copernicia Cerifera (Carnauba) Wax, Octyldodecanol, Octyldodecyl Myristate, Helianthus Annuus (Sunflower) Seed Oil, Phenoxyethanol, Triethoxycaprylylsilane, Juglans Regia (Walnut) Shell Extract, Ethylhexylglycerin, Tocopherol, “+/-” CI 77492, CI 77491, CI 77499, Titanium Dioxide (CI 77891), Tin Oxide. Using a soft brush apply product on the selected parts of face, arms and chest as well. Before application it is best to remove excess of powder from brush to spread out the product evenly.